The autumn just started, and the rainy weather is ahead of us. Тhis means it’s time to prepare with warmer clothes and most importantly invest in some new wells for children. 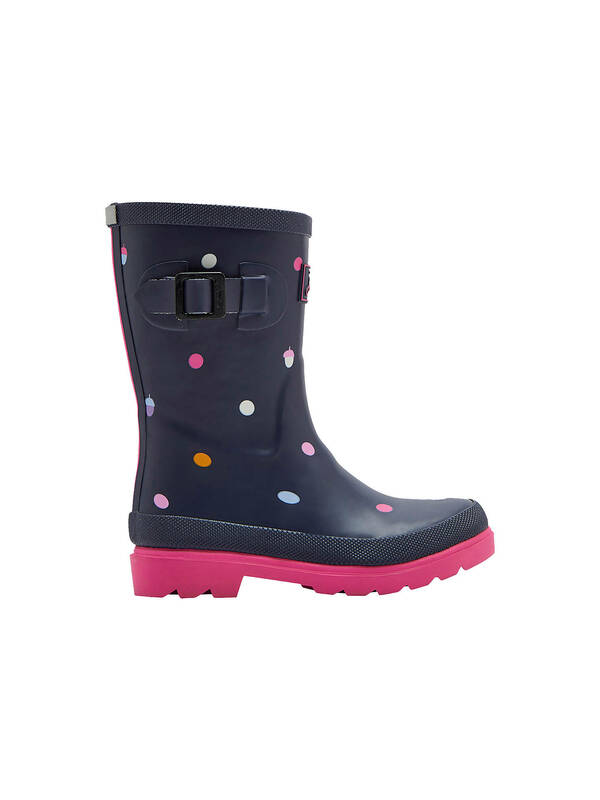 For this reason, we’ve prepared a list with The Best Toddler and Kids Wellies. Don’t let the bad weather get in the way of your little one’s fun! 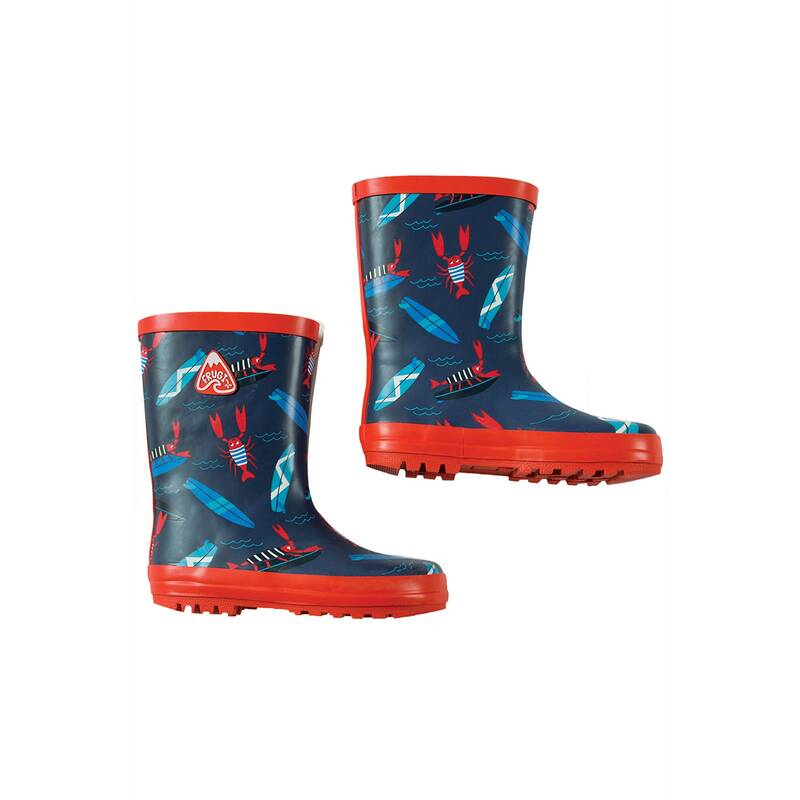 This Puddle Buster Wellington Boots are perfect for keeping your little one dry in this autumn season! They are made from Natural Rubber and are PVC free. And because of the Colourful and fun all over Frugi print, your kid will not want to take them off. The price is only £24.00. Made from natural rubber, supple, flexible and comfier for little feet than plastic wellies. Both practical and comfortable, they are soft and supple with an anti-sweat lining. 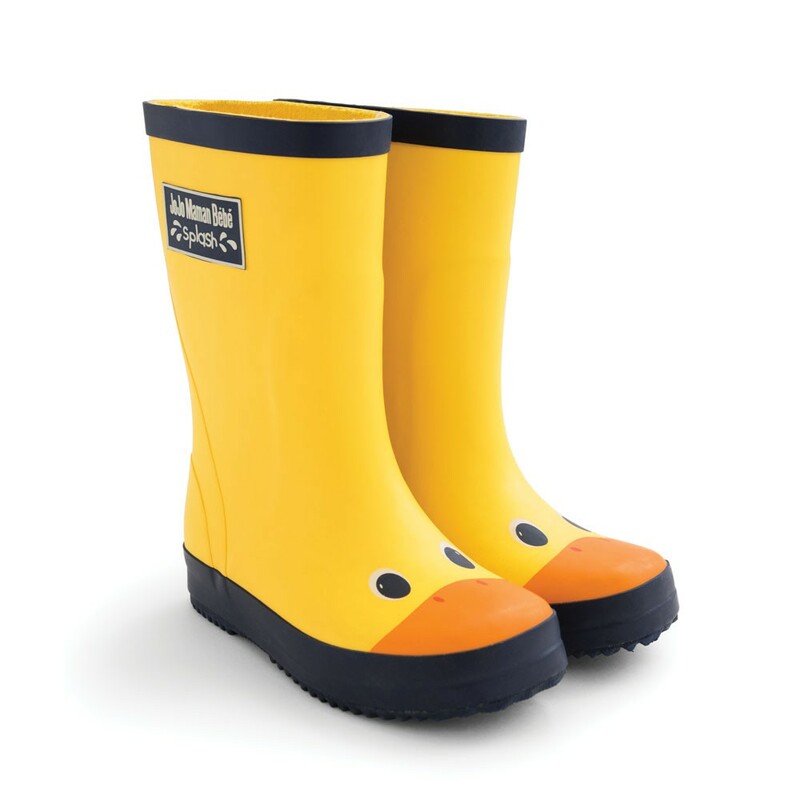 For a prize of £19.00, this Duck Children’s Wellies have to be one of our favourite styles this season. How adorable! 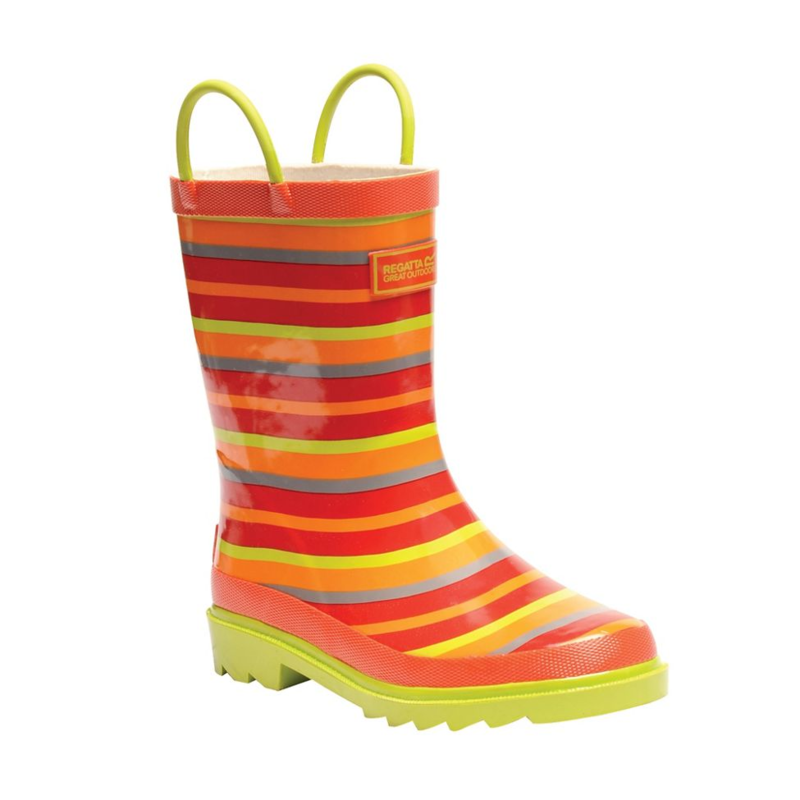 These attractive beauty boots by John Lewis have an overview of all the places you love your little – ideal for rainy days and large puddles. There are 100% waterproof and come in a fun, classic design using natural rubber for price of £24.95. Hello little Peppa Pig fans! Rainy days are even more fun now! 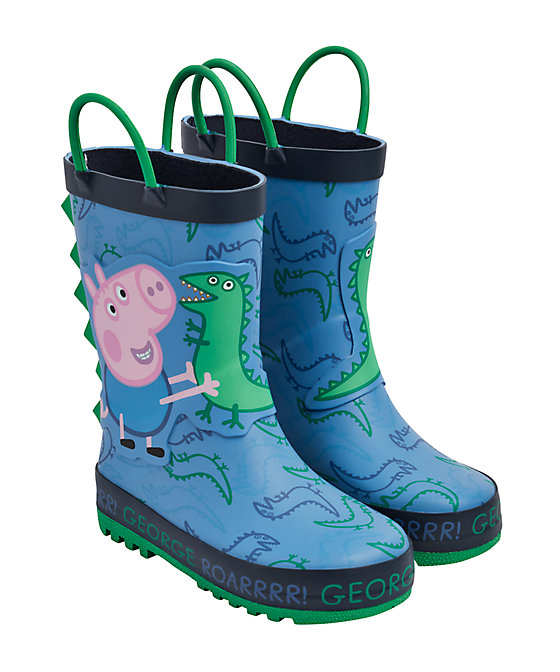 George loves splashing in puddles and squishing through mud, and your little one will love it too in these fun wellington boot. The price is from £9.60 to £11.20. 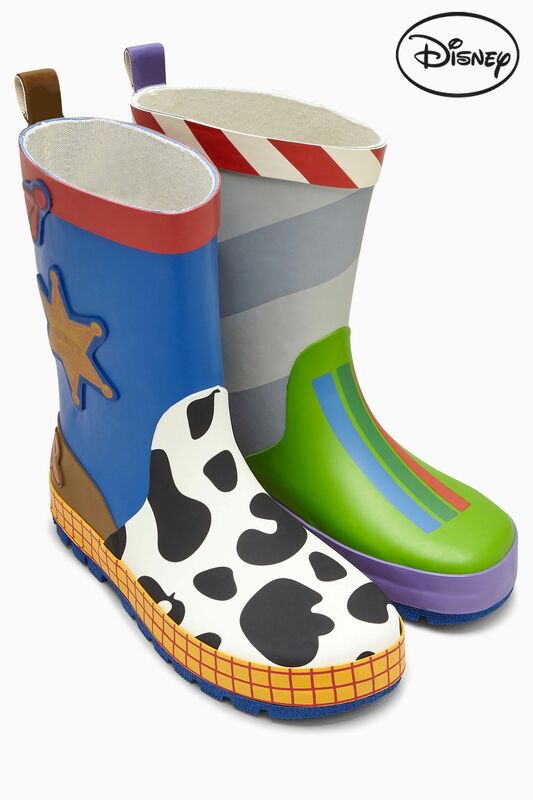 Whether your child is a Buzz or Woody fan, this Toys Wellies story from the Next, for the prise of £15 will get both of them. 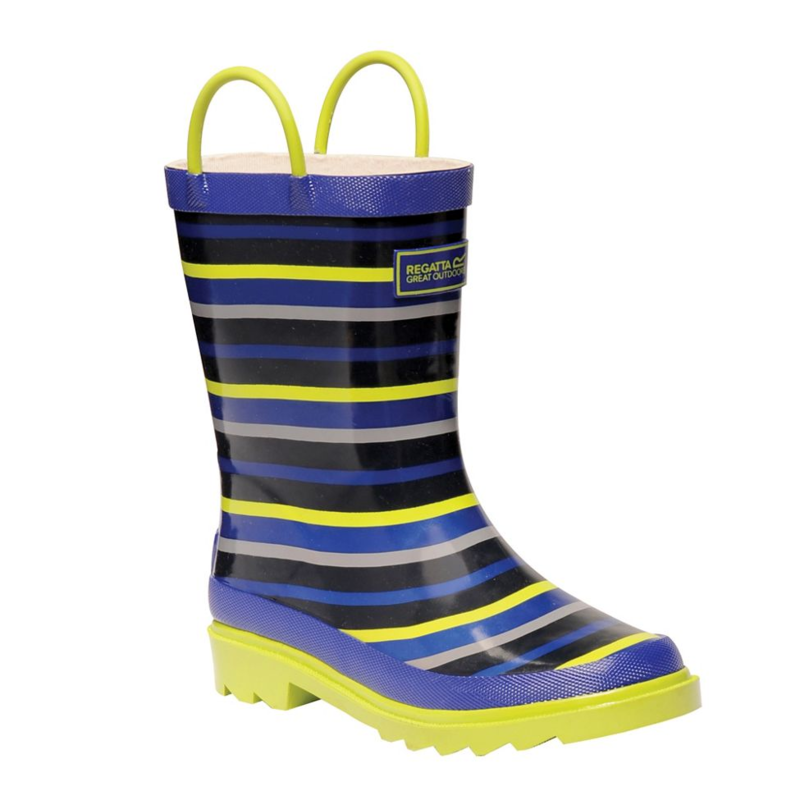 Regatta – Kids ‘Minnow’ junior wellington boot come with two variations blue, yellow, grey and black stripe and yellow, grey, red and orange stripe. There are made with 100% polyester and have durable weather protection. Now for the price of £22.50.